Perforated 14 x 13½, no watermark, typograped. January 29, 1895. Only valid locally and in Djibouti. November 1, 1908. Valid for international mail. 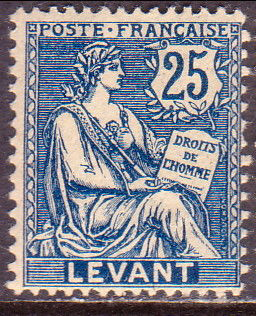 Surcharged with same value as stamp, but in piastre. The January 29 date is the earliest known use date. 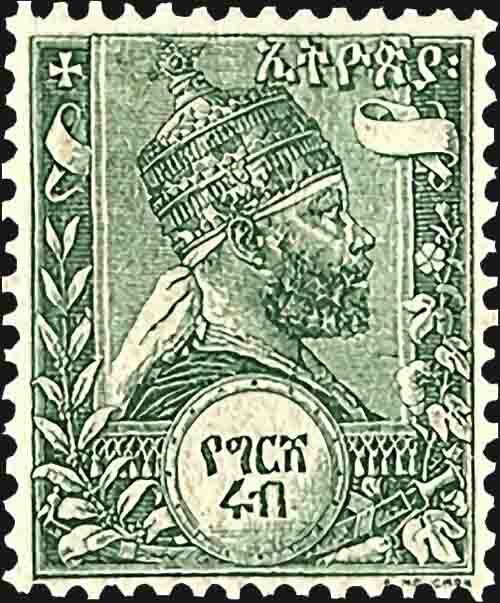 Until November 1, 1908, when Ethiopia joined the U.P.U., stamps of Obock, Somali Coast and Somaliland had to be used for mail to other countries. Although the issue numbers above only add up to 1,888,350, it has been stated that of the "total of 2,816,860 stamps printed", only 135,000 sets, or 945,000 stamps, were brought to Ethiopia. The rest was sold to collectors via stamp dealers in Paris. 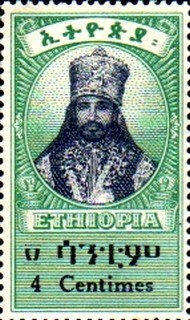 You should visit Doig's Ethiopia Stamp Catalogue if you want more information. France operated three the Post Offices in Ethiopia in the early 1900s. They used the stamps of French colonies, Obock, Djibouti and French Somali Coast, but Gibbons  also notes that three stamps "although inscribed "LEVANT" have face values in French instead of Turkish currency and were issued specifically for use in Ethiopia". The offices closed in 1908 when Ethiopia joined the UPU. Gibbons numbers them SG25-27 and they have been removed from the main listing under French Post Offices in the Turkish Empire in Part 6 . † Scott lists the three stamps under French Offices in the Turkish Empire (Sc29, 32-33) with a note that they were used in Ethiopia. 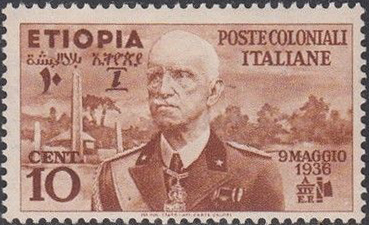 Italy invaded Ethiopia in October 1935 and annexed the country in May 1936, proclaiming the King of Italy as emperor. In June 1936 Ethiopia was incorporated with Eritrea and Italian Somaliland as Italian East Africa. In WW2, British and Commonwealth forces entered Ethiopia in March 1941, when the Middle East Forces (M.E.F.) GB overprints were used (see Libya for more details). Full sovereignty was restored in December 1944. The first set of three stamps after Independence (Sc247-249, SG323-325) was issued in March 1942. Between June 1942 and April 1943, an extended set of eight values was issued in which the denomination is capitalised, i.e. "CENTIMES" rather than "Centimes" in the earlier set of three. Sources: ScS , SGP6 , SGP12 . Images from Battle of Adwa.org, ebay.